I have an addiction. It’s called Recipe Bookmarking. I have pages and pages just waiting for the perfect occasion or meal. 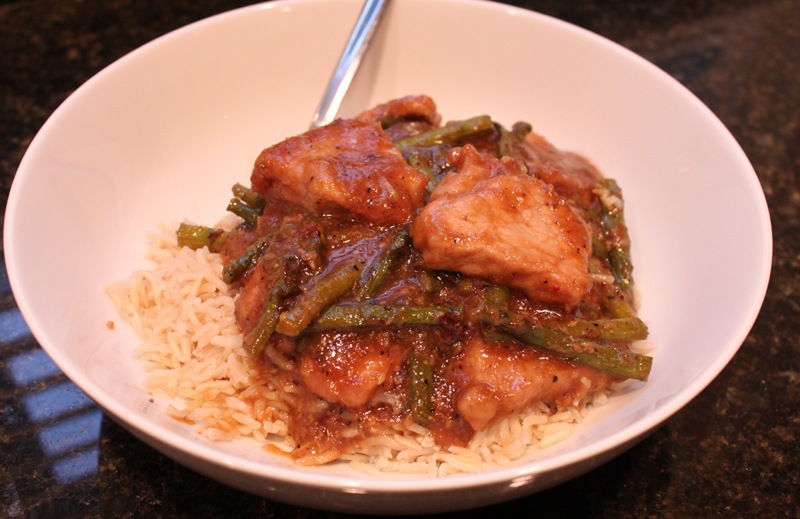 One such bookmarked recipe was this one from Iowa Girl Eats that I finally made and quickly became one of my favorite dishes ever. 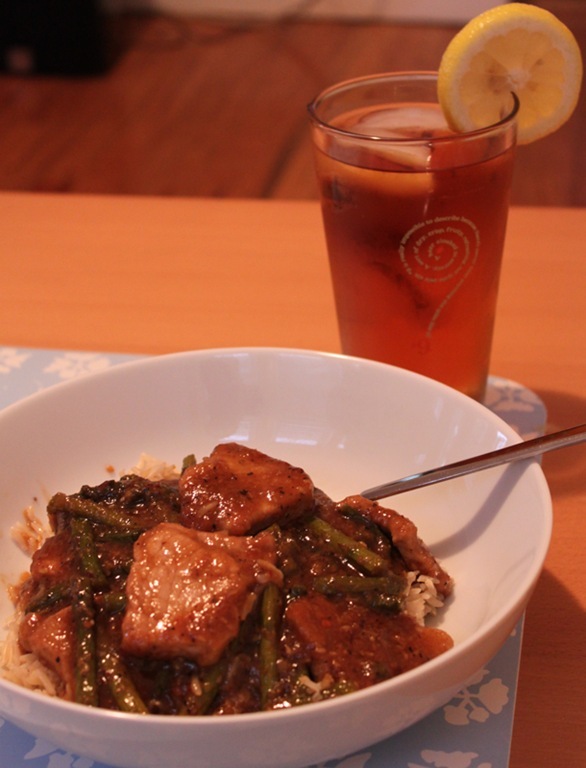 This also became an instant favorite because it’s another take out fake out dish, which I love so much. I took the recipe, made it my own, and here it is. 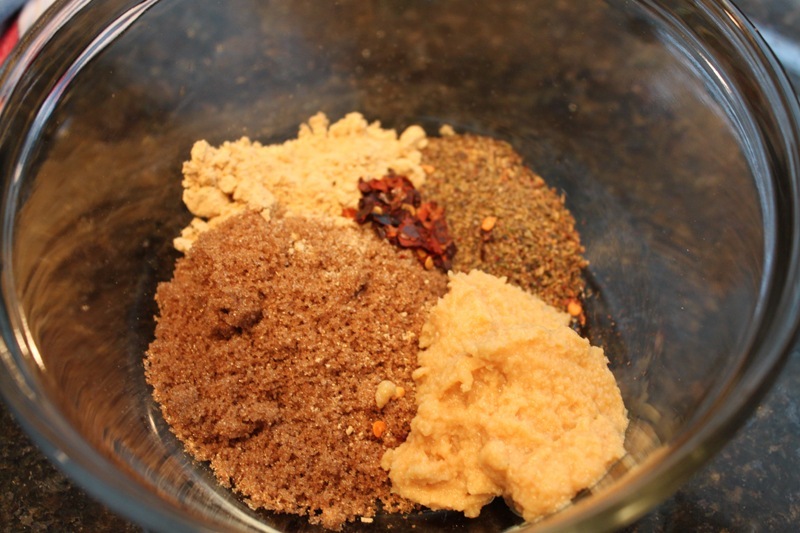 Mix your spices, garlic, and sugar together in a bowl. 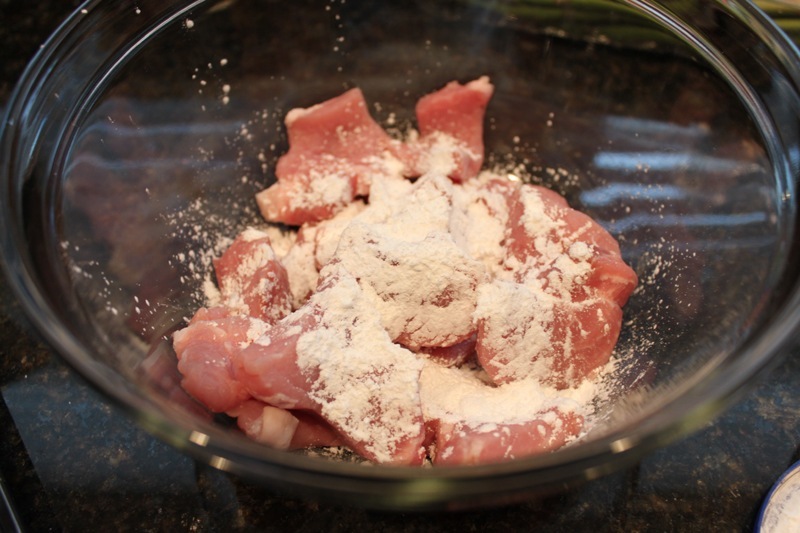 Add soy sauce and water, set aside. 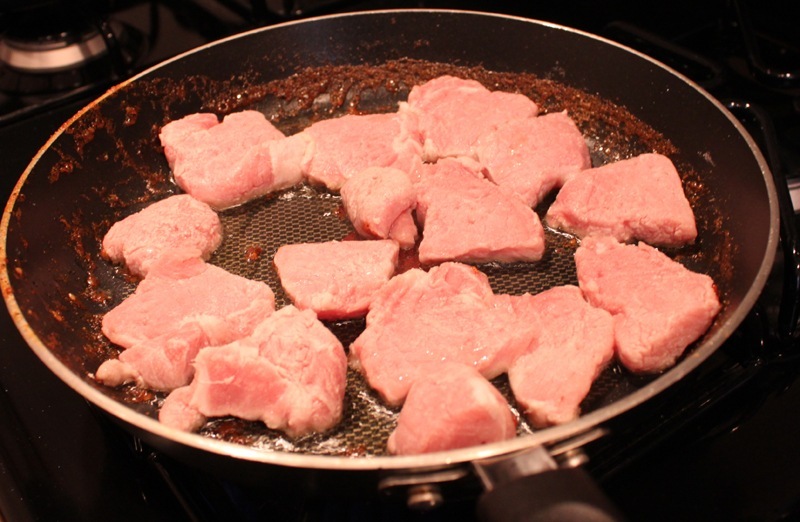 Cut/cube your pork, toss in the cornstarch. 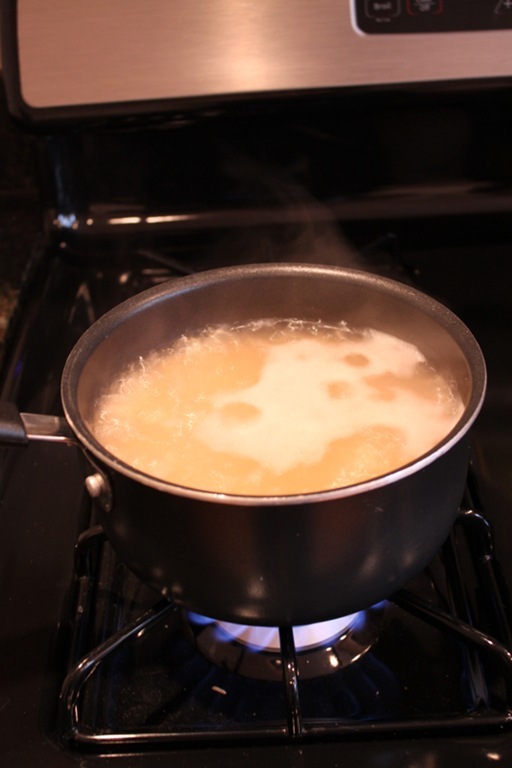 A little bit of excess is ok, it will thicken your sauce later. Meanwhile, get your rice cooking (I use a 3:1 ratio of water to rice because I like it very fluffy). 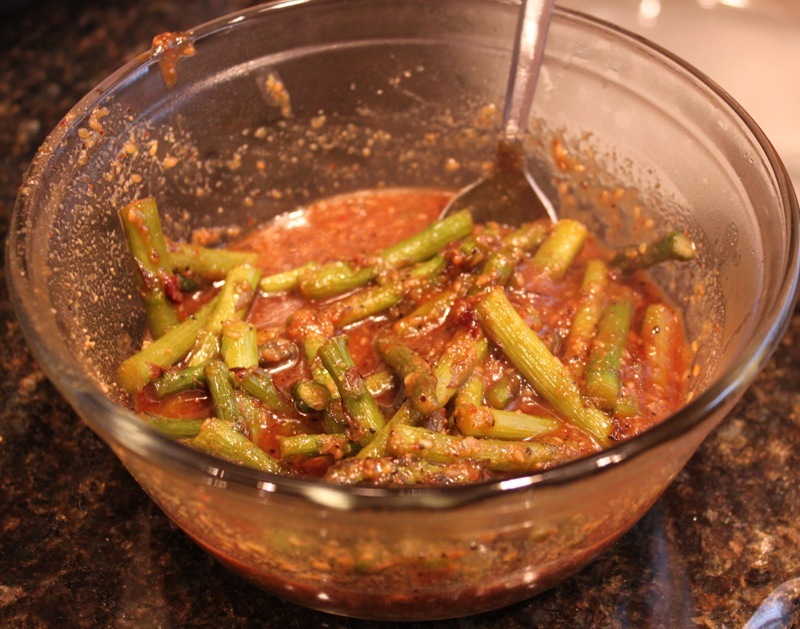 Start by heating your sauce and asparagus over medium-high heat. 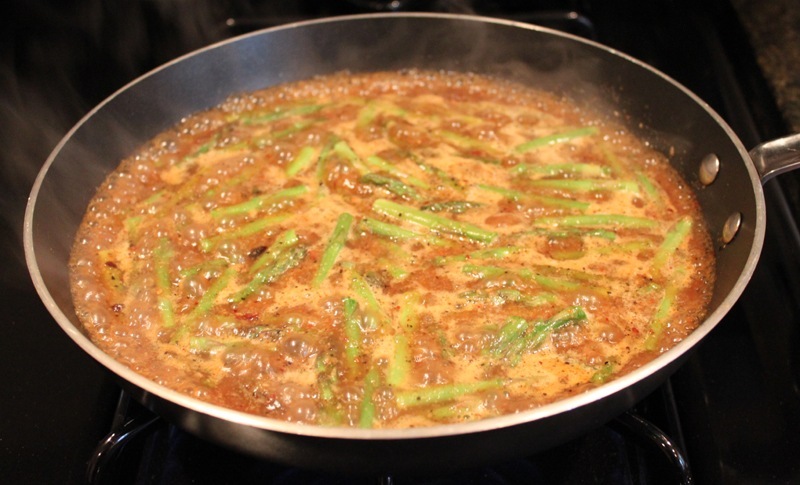 Bring it to a boil and cook until the asparagus is tender. Set aside in a small bowl. 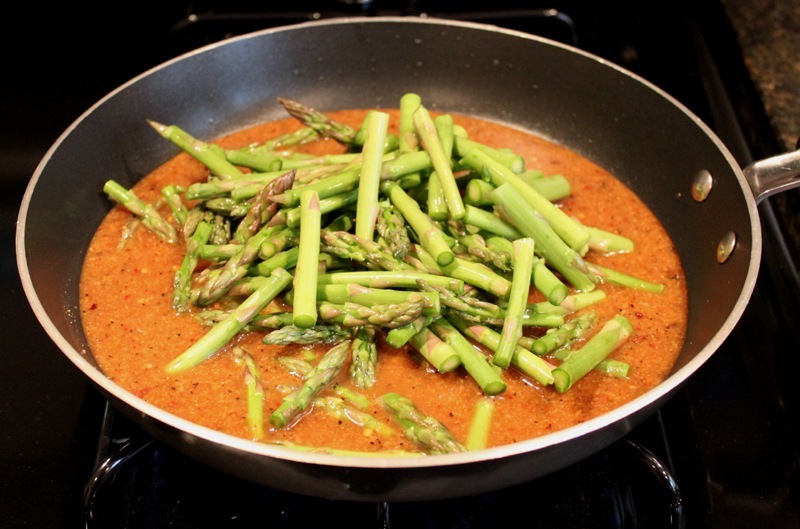 You could also saute your asparagus to brown it then add the sauce, I’ve done that too and it’s delicious. 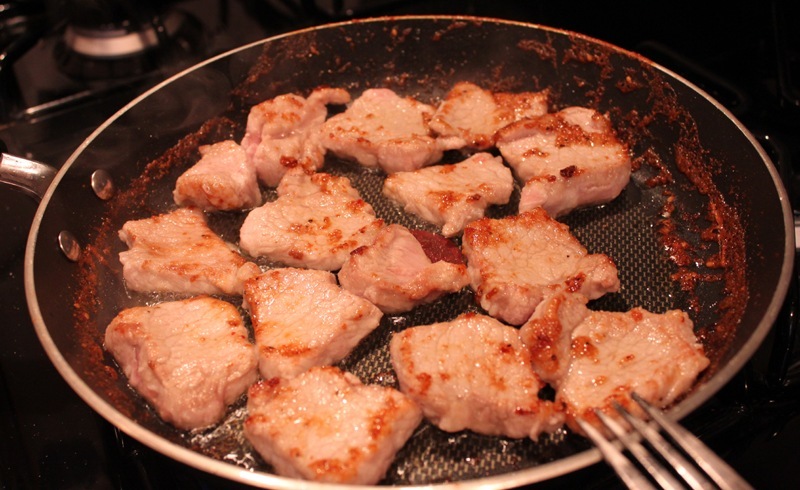 In the same pan add your EVOO and pork over medium heat. 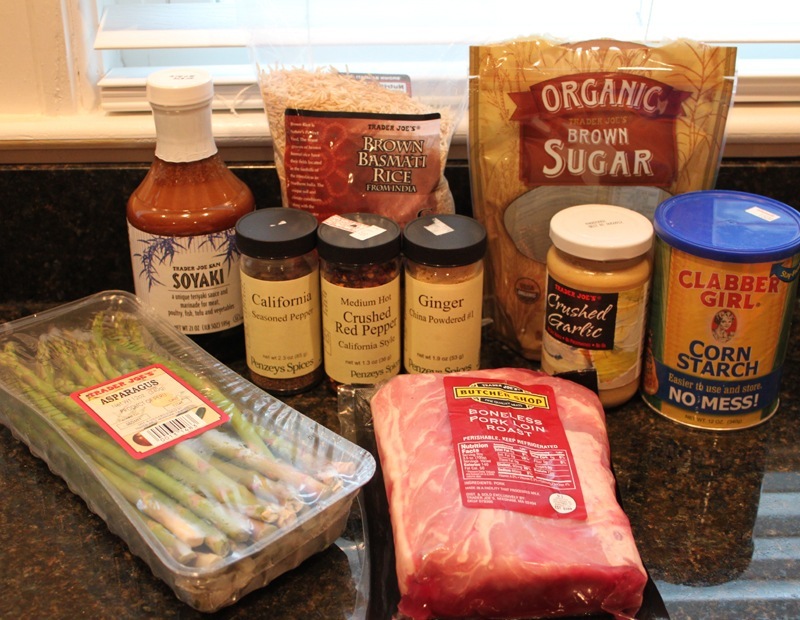 Brown the pork on both sides. 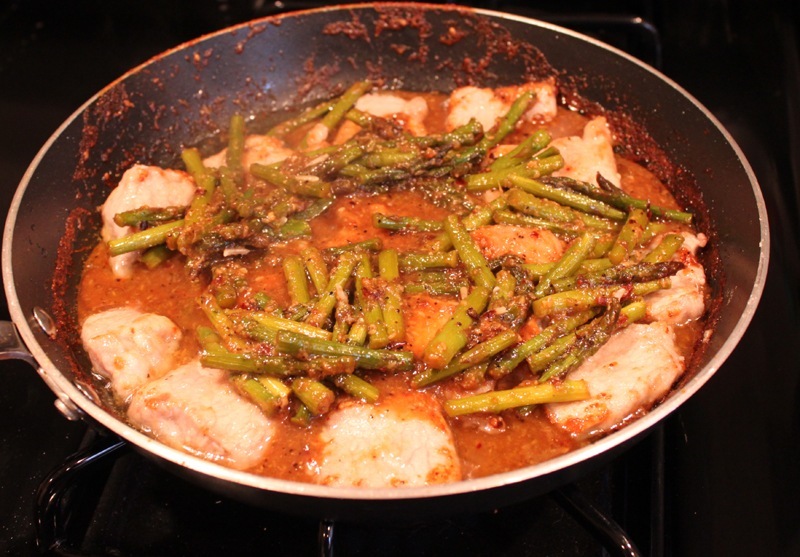 When your pork is browned to your liking, add your sauce and asparagus back in. Let it cook together for another 5-10 minutes over medium heat or until the pork is cooked through and the sauce thickens up. Serve over your rice and enjoy! 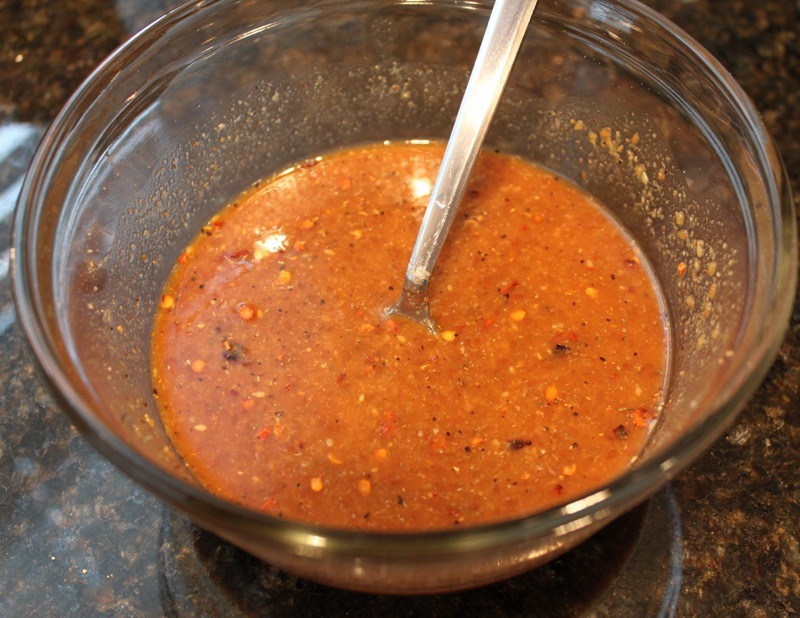 This recipe was the perfect balance of sweet and spicy. One of my all time favorite food combinations! You’ve got to try this one. Husband Pro Tip: It doesn’t work as well with chicken! Hey! Get outta here with that! I loved it with chicken!